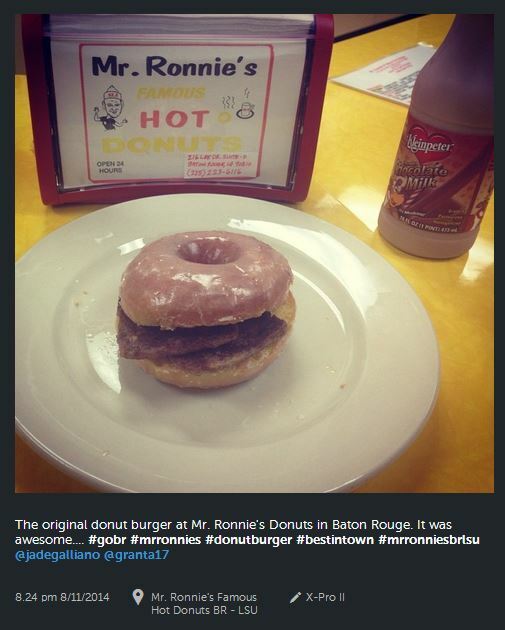 Our Instagram pic(k) goes to Kalin Larousse at Mr. Ronnie&apos;s Famous Hot Donuts! Have you tried Mr. Ronnie&apos;s yet? 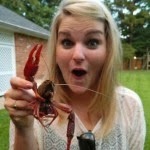 Mr Ronnie&apos;s started in Houma, LA and just opened their second location here in Baton Rouge! Below is a delicious donut burger with a Kleinpeter chocolate milk to wash it down...talk about a hearty lunch!